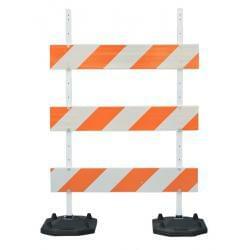 TrafFix Devices offers Type III Barricades to meet all of your Traffic safety needs. 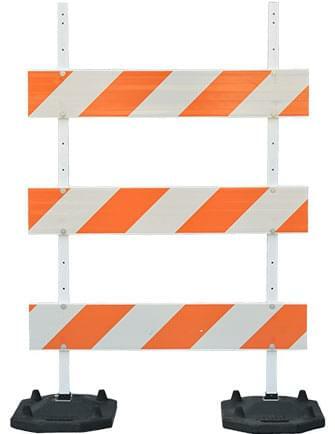 Type III Barricades are larger and and offer better visibility compared to Type I & II Barricades and are available in 4', 6', 8', 10', and 12' lengths. 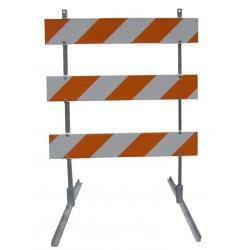 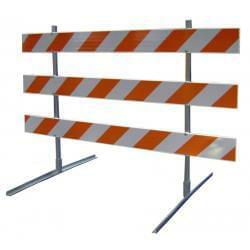 These Barricades have a wide range of uses, but are typically used to designate road closures. 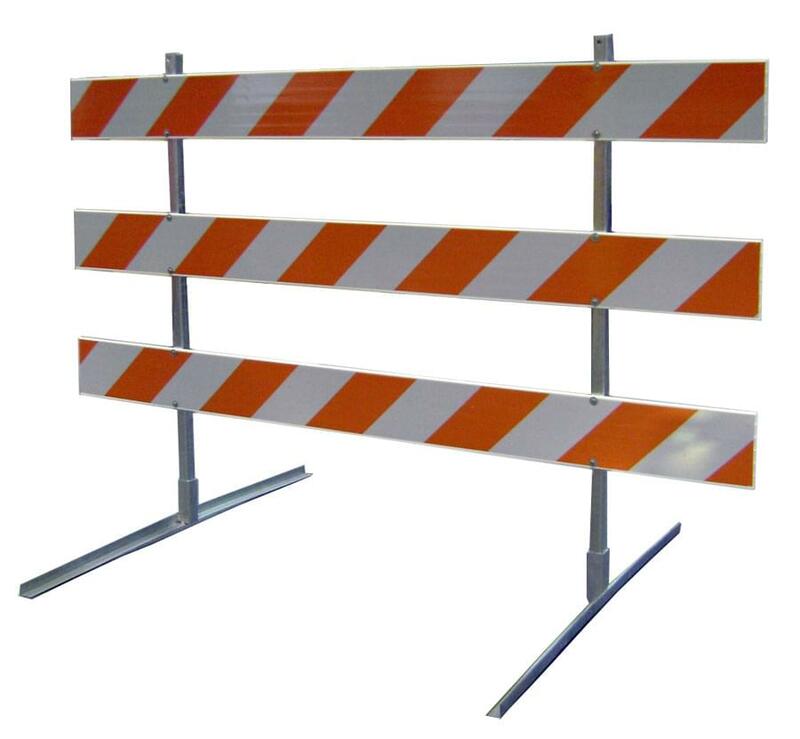 With our large selection of reflective sheeting, lengths, and materials, the TrafFix Type III Barricades can be used all over the world for any situation. 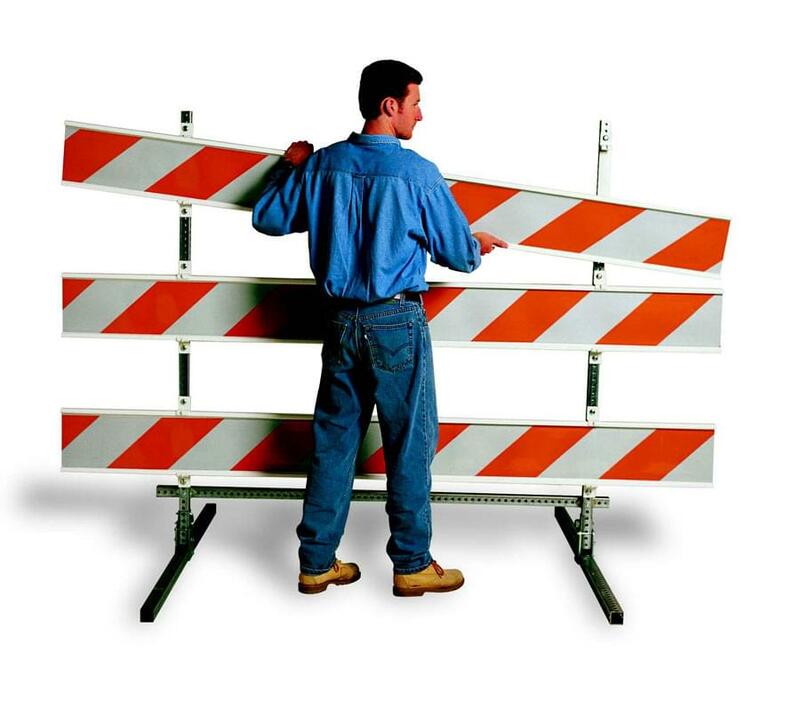 TrafFix Devices' Breakaway Type III Barricades utilize the all-plastic Phoenix Rail and uses uni-strut Telespar Square Tubing with breakaway base, bracket and detachable feet. 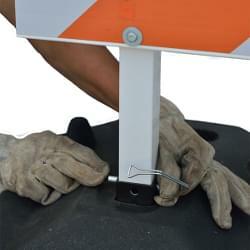 The TrafFix Devices Breakaway Type III Base yields to impacting vehicles. 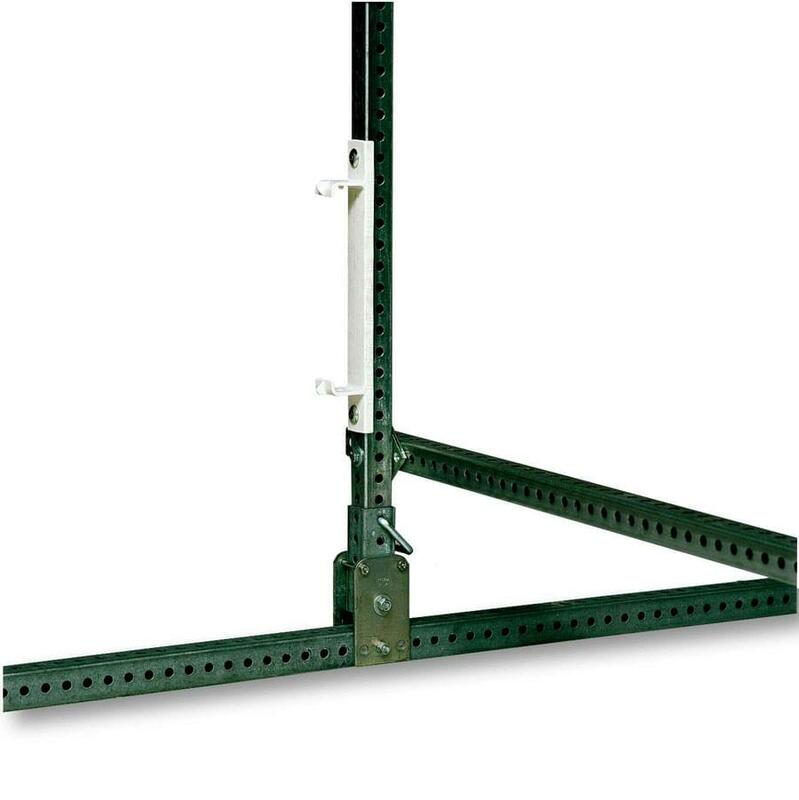 Easily detachable feet allow for efficient transportation, assembly and storage. 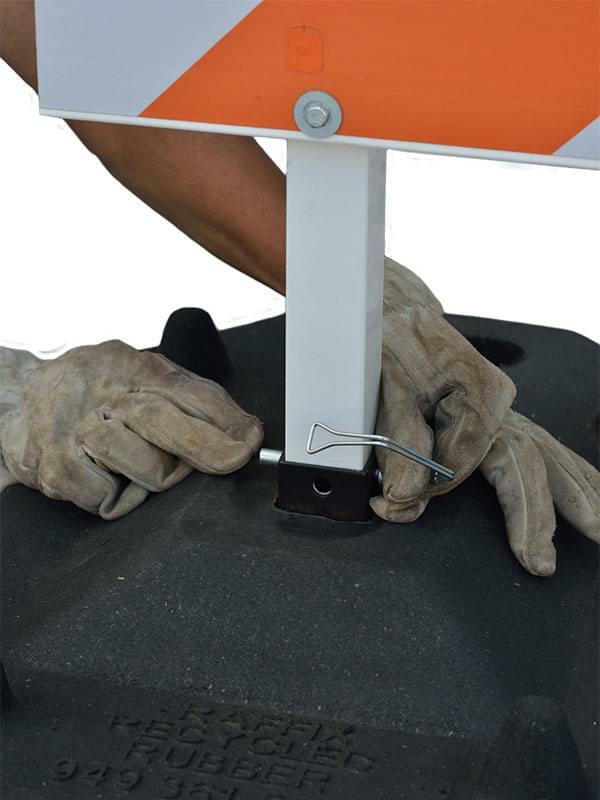 The Phoenix Type III Barricade from TrafFix Devices is lightweight making it easy for a single worker to setup or breakdown. It comes complete with (2) 72" steel or plastic pre-drilled uprights which attach to (2) 40 lb. 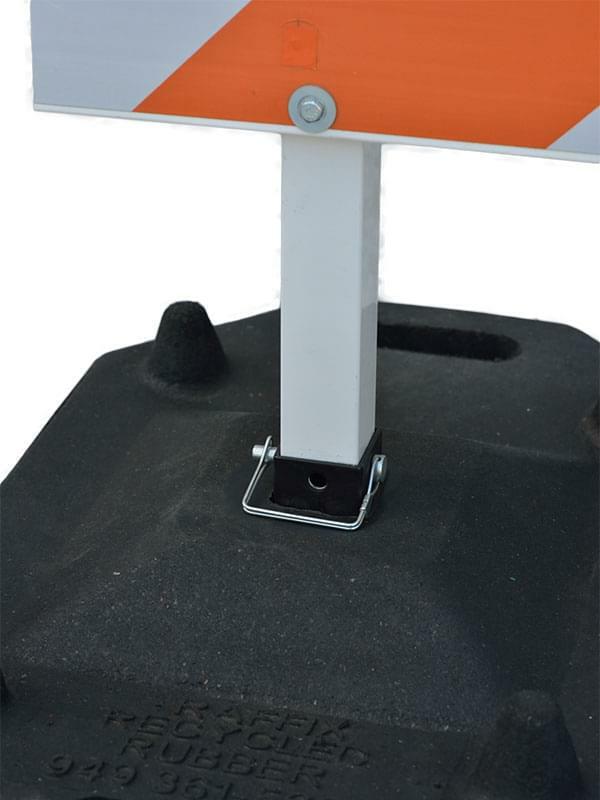 recycled rubber and steel bases. 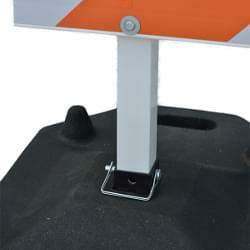 The recycled rubber and steel bases nest together for easy storage and transport and each have a quick release pin for easy removal of the barricade uprights. 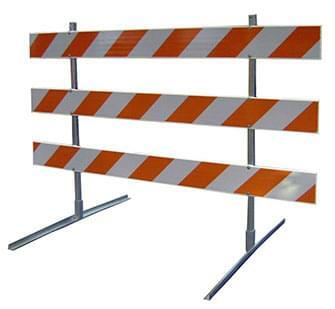 The Phoenix Type III Barricade is compatible with 4', 6', 8', 10', and 12' Plastic Phoenix Rail panels and can be sheeted with Engineer Grade, High Intensity, or Diamond Grade Reflective Sheeting. 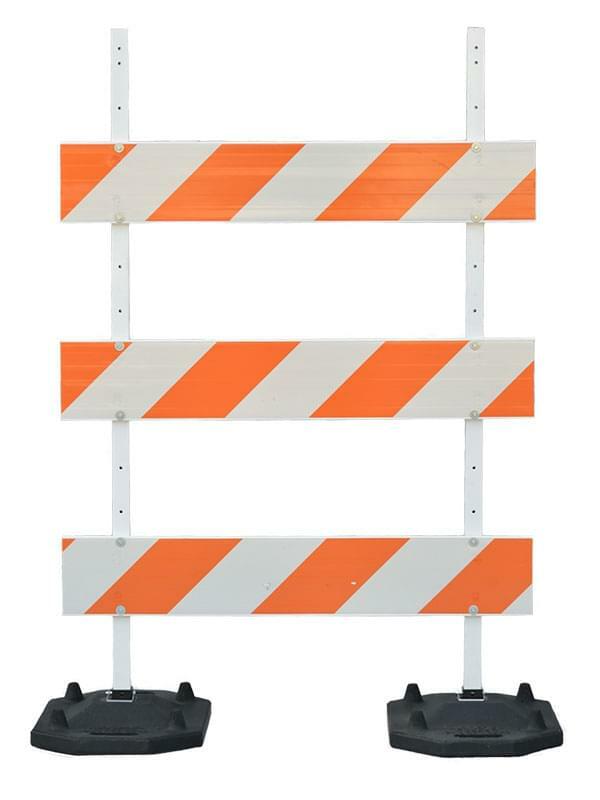 The Phoenix Type III Barricade is NCHRP 350 approved with two (2) standard barricade or two (2) small LED barricade lights. 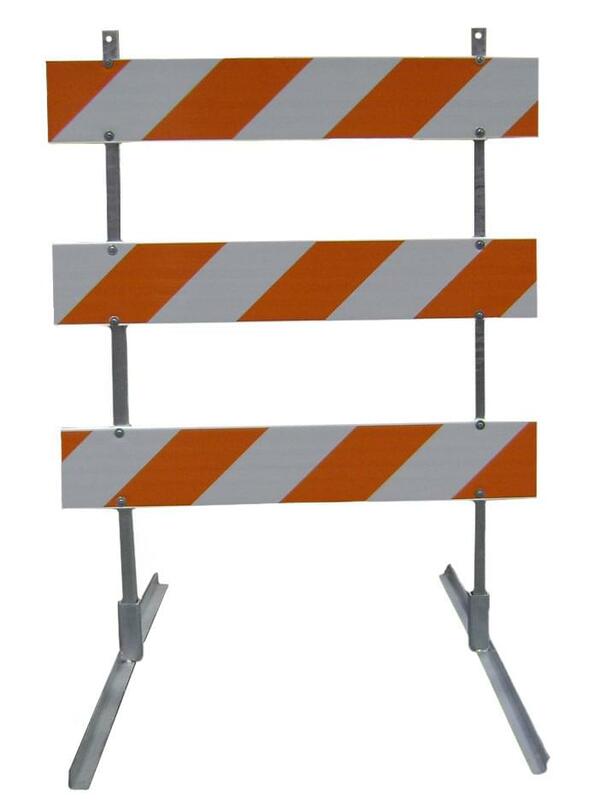 Economy Type III Barricade with Phoenix plastic rails, provides low cost Type III solution with rolled steel uprights and feet. Choose the Phoenix Rails in 4, 6, 8, 10 and 12 foot lengths. 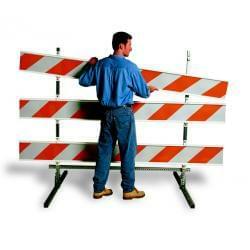 Economy Type III Barricade can be assembled and disassembled in a matter of minutes by a single person.